Amritsar/Chandigarh: Aam Aadmi Party (AAP) leader and MLA Kultar Singh Sandhwan visited visited Harike Pattan along with social activist Gurpeet Singh Chandbaka and environment activist Balbir Singh Sechewal. AAP leader expressed surprise over the way people in the Malwa region were forced to drink polluted water and accused teh state government for leaving a vast majority of people to fall prey for certain life-threatening diseases. In a statement issued after his visit to the Harike Pattan the Kotkapura MLA said that the people of the region were forced to drink water which was not fit for human consumption. 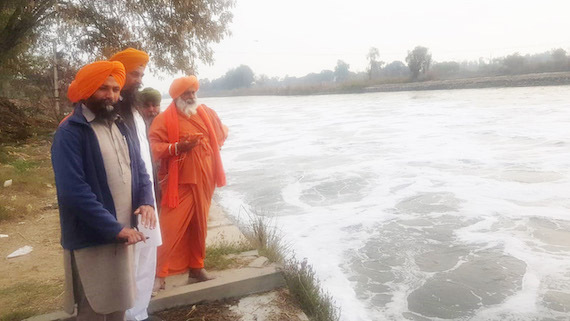 He said that the pollutants and industrial waste that had been flowing from the Buddha Nallah into the Sutlej and Beas river waters consumed by the residents of the nearby areas, had spiked the pollution levels in the Malwa region, which was 1.5 per cent more than the pollution at India level. 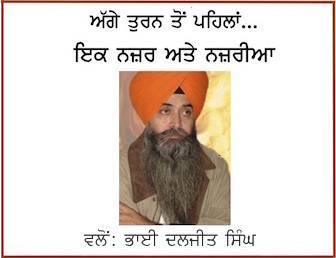 Referring to the Balbir Singh Seechewal’s report on the status of pollution levels and the quality of potable water being supplied in the area categorized as “C”-grade, Sandhwan said the report had debunked the claim of Pollution Control Board chairman in reply to his (Sandhwan) letter saying that the water was being supplied to the people was untreated. On the occasion, AAP leader Bibi Sarabjit Kaur Manuke said that she had met the deputy commissioner, last year, to flag the issue of supply of quality of potable water to the people of the region, had proved to be a wild goose chase as nothing concrete came out of the discourse. She further said that the party had already informed the NGT of the issue surrounding the precious lives of the people. The AAP leaders threatened that if the government in the saddle kept turning a blind eye to address the issue sooner than later, the AAP would be left with no choice but to take road route to holding statewide protests to send out a loud and clear message to the industrialists and factory owners to face the music. The government should remedial measures to initiate action against those involved in polluting the river waters.